Expand the processing capabilities of any PreSonus® StudioLive® Series III console or Series III rack mixer, as well as Studio One®, with the Baxandall EQ. Expand the processing capabilities of any PreSonus® StudioLive® Series III console or Series III rack mixer, as well as Studio One®, with the Baxandall EQ. 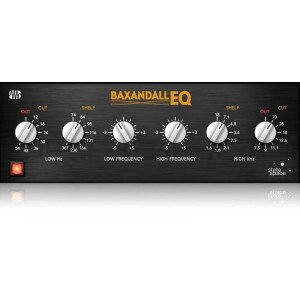 This EQ offers the world's most popular EQ curve. Using gently sweeping treble and bass EQ shelves, it allows you to make subtle, yet effective, changes over wide swaths of the frequency spectrum. Included in the Modern Classics Bundle.